“The Twilight Saga by Stephanie Meyer is a set of romantic novels, illustrating a love triangle between a human, a vampire and a werewolf… It is awesome, you’ll simply love it!” This is what “S” told me about this series, in December 2009, when she suggested I take it as the “energy exchange” for the Reiki I was sending to a friend of her. Anyway, I decided to check out the first book of the series – Twilight. An apple on the cover page, very apt for a forbidden love story, between a human and a vampire! It was totally absurd and ridiculous, but I couldn't put it down! Bella moves to wet and gloomy Forks, Washington, from the sunny and bright Phoenix, Arizona, to stay with her Dad. (As a small sacrifice for her Mom!) She meets vampire Edward in her new school there, and falls in love with him. Edward, on the other hand, is caught in a one-of-its-kind-dilemma… whether to kill her or to protect her! He thirsts for her blood, but at the same time, she also awakens his long forgotten, human instincts – of love and desire. Bella’s trust in him leads him to step into this very risky relationship. But it wasn’t all smooth sailing for them. Far from it, in fact! In the end though, everything works out fine (just like a good Bollywood movie!)... a happy ending for all, unlike Harry Potter in which several favorite characters were killed! 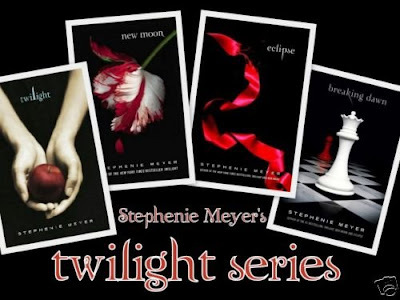 Stephanie Meyer has created a very complicated and gripping plot. 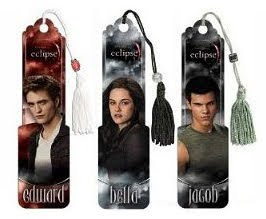 Despite the fact that the first two books of the series (Twilight and New Moon) are full of more mush than a dozen Mills & Boons put together, and that the story is just totally unbelievable (Harry Potter’s wizards were still believable! Even LOTR’s hobbits were believable! ), you will still fall in love with this series! 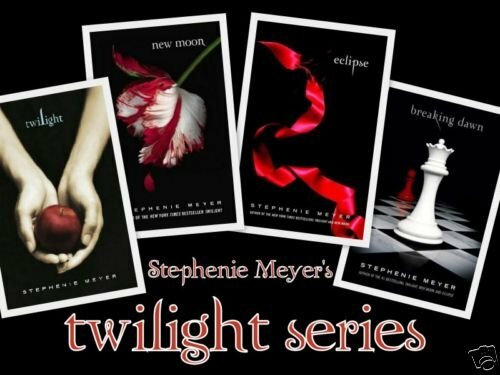 Stephanie Meyer’s character portrayals are just brilliant. Every single character in the series has a very clearly defined personality and a unique quality that leaves its mark on the readers. 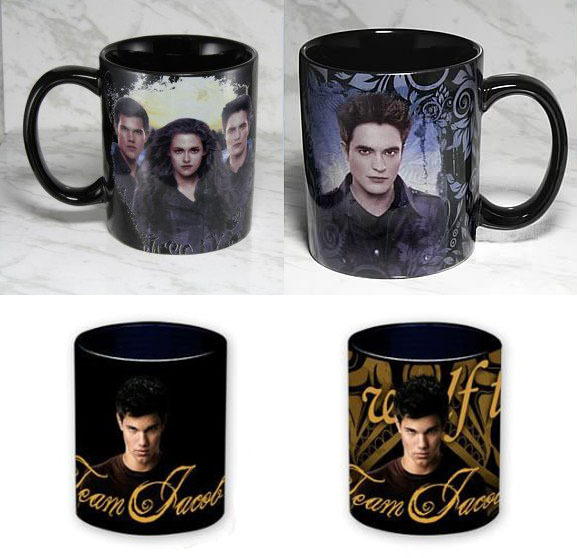 The loner Charlie (Bella’s Dad), the eccentric Renée (Bella’s Mom), the goofy Emmett and perky Alice (Edwards’ adopted siblings), compassionate Carlisle (Edward’s father)… I could go on and on. There wasn’t a single character discrepancy in the entire series. The only thing I couldn’t digest was that a girl who feels so unworthy of anything good in life, who is so self-destructive actually, gets everything in the end – one of the most gorgeous looking vampires as a husband, who also happens to be unimaginably rich (Forbes 2009 Fictional 15 list declared Carlisle as the wealthiest fictional character! ), one of the most cheerful and loyal best friend, and even a biological daughter which every female vampire could only dream of! This “good luck” spell on Bella seems to completely defy all laws of attraction! 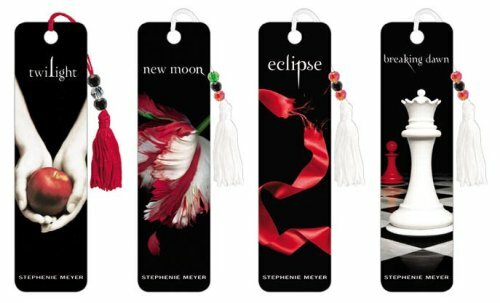 But in the final book (Breaking Dawn), Meyer has even managed to make Bella likable, when she discovers her special vampire power, and uses it to protect all her friends! The USP of the entire series remains Jacob Black, though. And the funny thing is that this character didn’t even have such a big role in the plot originally! Apparently, the author also fell in love with him, just like us readers, and she made quite a few changes to her original plot, in order to make Jacob more central to the story. I, for one, am glad she did that! I have read the series thrice already (yes, in just one year), only for this one character! Jacob becomes very prominent in the third book (Eclipse), and the way his mind works is simply fantastic! Even Edward couldn’t help liking him, despite the fact that he was the “third angle” in his “love triangle” with Bella! Oh and another brilliantly-out-of-the-box-thinking by Meyer: Edward can read people’s minds (vampires’ and werewolves’ too!) and his sister Alice can see the future. Now try and imagine a game of chess between the two! [grins] Like I said, the characters are totally believable, even if the story isn’t! My rating: 3.5 out of 5: Overall, the Twilight Saga by Stephanie Meyer provides good entertainment value. The first time I read the series, I finished off all the 4 books within less than 6 days. It is just impossible to put it down once you begin. (And, of course, AFTER you accept the fact that anything is possible in fiction!) A good value-for-time series, because let’s be honest… time is more precious these days than money! Right? After having read all the four books I could only say one thing, 'She did it'. She had a story, and she linked up all the pieces left in the second part and in the third part together in the fourth. It's like she had the whole story in mind ever since the first part. I was hooked, even though I had moments where I felt like leaving the rest when the story slowed down in the second novel. 'La tua cantante'! That's cool! Are you a Virgo by any chance? I've seen all of the movies but not read the books yet....looks like a gr8 read...btw i don't see an "add" button on your facebook page hw am i supposed to add u...help!! Rads: I just chked my privacy settings on FB... they were set to "Friends of friends" for sending add requests! :p I guess we don't have any common friends on FB yet. Try adding me now, I have changed it to everyone. And the movies are nothing compared to the books. Though they have retained the characters pretty well, still it's not quite possible to create the same effect for creatures like werewolves and vampires.